Way back in the day there was Band Aid and I bought the single. There was Live Aid and I watched the whole thing. Then there were a few tentative dips into charity singles before people accepted it was a wise and sensible way to raise awareness and a few bob for a worthy cause. 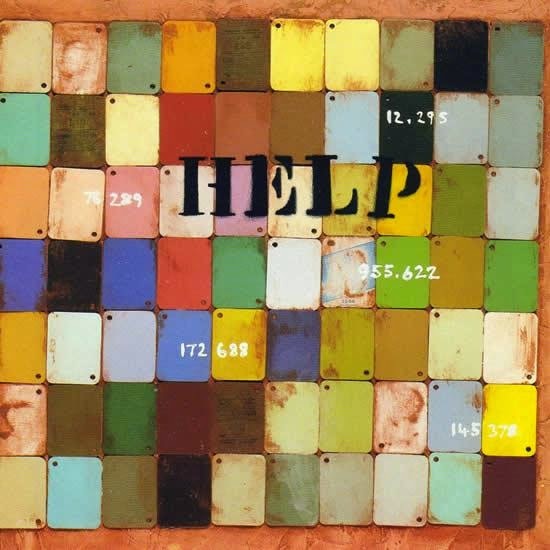 My all-time favourite charity record is an album produced on behalf of War Child - Help. There was quite a buzz about this album back in 1995. It was recorded in 24 hours in full view of the media, and I bought my copy as soon as it hit the shop. It featured a host of my favourite artists at the time (and also some unlikely singers including Kate Moss and Johnny Depp), and some unlikely tunes - the Manic Street Preachers cover of Raindrops Keep Falling On My Head can't fail to bring on a smile, and Sinead O'Conner's Ode To Billy Joe raises a tear. Back then War Child were raising money to help children affected by the war in the Balkans, as Bosnia fell apart and we all watched on the news as the Olympic stadiums were smashed to pieces by bombs. It was the first time in my life that I realised I live in a relatively peaceful country only by accident of birth. These children and young people had been just the same as me, and now they were homeless, destitute, dying. War Child have continued to work with musicians over the last 20 years, releasing several albums and hosting regular fundraising gigs. During that time they have helped hundreds of thousands of children - getting them out of army uniform and back into school, protecting them from violence and sexual violence, giving them access to medical help and family support, and giving thousands of children somewhere to live. I like War Child a lot. I like them because they're incredibly open about where the money goes - and 95% of all money donated goes directly to projects. Money is never sent through Governments, it goes directly to where it's needed, and the projects don't stop as soon as peace is declared, they carry on so that children don't fall into prostitution or destitution. They don't sponsor children for life though, they stay long enough to teach them how to continue safely on their own. On Februrary 9th the latest single to raise money for War Child will be released. Sung by Beattie Wolfe and featuring 10 children from around the UK - who all won the right to be there from 20,000 entrants. The song is called Kids Wish For The World, and the proceeds will be split between War Child and Childline - another charity which I have great respect for. I can't see my teenagers rushing out to buy it unless Skrillex or Professor Green does a remix, it's a little more mainstream than my old Help album, but hey, I hope it does really well. I wasn't paid to write this post. I think War Child do a great job. I loved the Help album. It's still one that always raises a smile when I put it on. Well it will do when I ever rescue my CDs from Mum and Dad's attic. Great musicians coming together for a great cause, without sacrificing the quality of the music. The new single is a bit cute for me but I'm so pleased that their work continues. What a great cause! Well done to those 10 children who got pick to feature in it.